Deciding to get a technology-based education – more specifically attend a technical school versus a technology university – is an important choice for high school graduates. Aspiring technology and engineering students should know the differences between tech schools in Florida and technology universities. To help with the decision, we compare two types of tech schools. Technical School – Technical schools are frequently industry-focused and commuter-based. Their goal is primarily to provide basic, targeted education designed to train students for employment in a specific field. Technology University or College – Technology universities or colleges provide degrees in a variety of STEM majors and technical concentrations. These schools also offer general education courses, electives and hands-on internships for a well-rounded foundation on which to build a career. 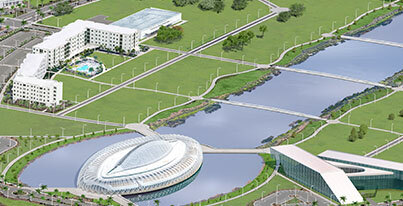 For example, Florida Polytechnic University is a technology university, centered on STEM education in Florida. Here are some of the key differences between a technical school and a technology university, which include curriculum, faculty, housing and student life. A technical school, such as ITT Technical Institute, may concentrate on specific career paths such as engineering, information technology, or general management. In contrast, technology universities, such as Florida Poly, typically offer a wider range of majors and degree concentrations, such as graduate and undergraduate degrees in engineering, that prepare students for a wide range of career options. On average, students attend technical schools for two years and technology universities for four. Four-year graduates earn more money over the duration of their working lives and have access to more high-paying jobs, according to a 2012 study by the U.S. Bureau of Labor Statistics. The study showed that those with bachelor’s degrees earned 26% more than workers with associate’s degrees. Technical schools are usually focused on trade or vocational education often taught by adjunct faculty with a master’s degree and professional experience. These typically are instructors who are not full-time educators. The primary objective of a technical school is to prepare students with skills that apply to specific jobs. Technology universities have a broader area of focus and more course options. Universities typically offer concentrations – for example Florida Poly offers degree concentrations in nanotechnology or electrodynamics as part of their engineering degree programs. At a technology university, professors have both PhDs and practical experience applying technology to real-world business problems. They conduct applied research, develop rigorous curriculum as well as teach classes. Students at universities also spend more time on campus allowing them to build a rapport with faculty and staff. Another difference between a technical school and technology university is housing. Technical schools typically do not have on-campus housing, and the students are more likely to be commuters that don’t spend a lot of extra time on campus. As with other technology universities and colleges, students at top engineering schools in Florida have the option to live on campus. In fact, some schools may require freshmen and sophomores to reside in residence halls. Living on campus, meeting new people, having roommates and participating in dorm activities all play formative roles in the college experience. Given the different housing options, the student life at a technology university and a technical school vary significantly. A technical school may not have a strong student community outside of the classroom. Technical schools often do not have many clubs, activities, organizations, societies or leadership opportunities. At a technology university, the campus is a true hub of social activity as students eat at a dining hall, socialize and study together. A technology university campus provides students with a great way to meet fellow students from different backgrounds, majors and develop lifelong friendships. Admissions counselors agree that students should consider a variety of factors when deciding between a technical school or top engineering college. Students should attend the school that best fits their career goals, interests and personal situation. The combination of these factors will influence whether a student attends a tech school in Florida or a technology university. Both have important differences that students must understand before making a commitment.